Bestselling author of The Christmasuarus, Tom Fletcher, has written a brand new picture book perfect for bedtime, where a mischievous monster has invaded the pages of your child's book! There's a Monster in Your Book is a fun, interactive, sweet read for your littlest book nerds. There's a Monster in Your Book! Nobody wants a monster in their book, how are you going to get rid of that pesky but cute little monster? You're going to wiggle, shake, shout, tickle, and turn all about. I loved how fun this book is for little readers, I have to admit even when I read it alone the first time I found myself wanting to do all the things the book suggests to get that little monster out of the book. The art is crisp and clean as is the story line and directions. It's a perfect read aloud book for your pre-schoolers, not overly complicated in either art or word. Everyone will see and know exactly what is going on and will have giggles being heard all through your school halls or your home. 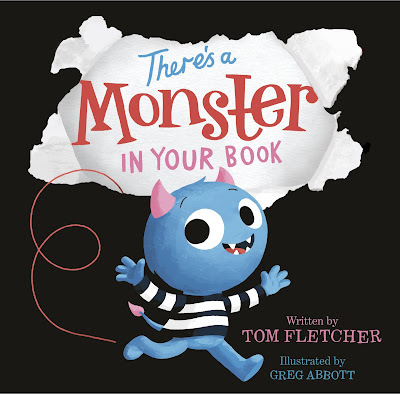 There's a Monster in Your Book is the perfect book to read anytime but would be especially lovely read right before bed or nap, a chance for your child to get their wiggles out and then snuggle in just like Monster does with a calming hug or pet on the head. This is a great book for any pre-school through 1st grade classroom or any young readers shelf at home. While you might start out reading this one out loud you will soon find your pre-readers 'reading' it back to you! 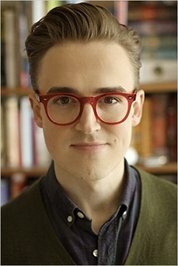 There's a Monster in Your Book is just one of those books that makes you smile whether you're 2 or 40-ish (ha).